Lapbooking is a whole language learning approach that results in a keepsake of a project that your students will cherish. Each student has the opportunity to create a unique piece of work for the topic they have studied. It’s a three dimensional compilation of writings, drawings, and creative expressions adhered to a file folder. The folder sits on the reader’s lap, opening at the center to reveal various learning efforts, almost like a pop-up-book full of treasures! The children are always very excited and proud about their work. In the end, it serves as an artistic portfolio that can be displayed and treasured over the years. There are some educators who are naturally inclined to help create projects like lapbooks, but for others, this task can seem very overwhelming. The first thing you need to realize is that it does not have to be an all or nothing endeavor. Try it once, and if you don’t do another one for six months, that is okay. The idea is to add a little bit of flavor to learning. For the beginner, start with something small, like a book report. Choose a book your student is reading and make a list of elements that you’d like him to include in the lapbook. For example, you may require your student to include a list and description of each of the characters, five vocabulary words, copywork of a quality sentence or paragraph from the book, a tracing of a picture from the book, and a narration of the story itself. You may also ask your student to add two extra elements of his choice. This open-ended option allows for the child to choose something that was meaningful to him. The difference between this project and typical paper and pencil work is that there is creativity. So, rather than just writing a list of the characters and a description of each on a piece of paper, your student may make a pocket out of cardstock with the character’s name and/or picture on the outside. Tucked inside of the pocket would be another piece of paper which holds the character description. This is much more fun for the student, and a very exciting and interactive experience for the reader who is exploring the finished lapbook! Spend fifteen minutes a day working on new additions for your project and gather them in a zip-lock bag. When you have finished with all of your elements, give your student a final day to lay them out and adhere them to his file folder. 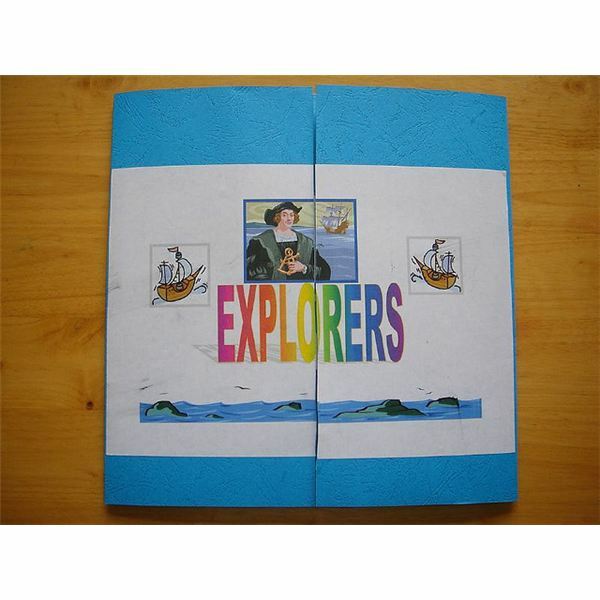 The front, back, and inside of the folder will unfold to reveal all sorts of new information in a creative format. Dina Zike has written a book called The Big Book of Books and Activities. It is filled with ideas about how to make creative tiny books that work beautifully within a lapbook. Order it on interlibrary loan if your library doesn’t have it. Most likely you’ll want to turn around and purchase it. You can view some of her ideas at her website. 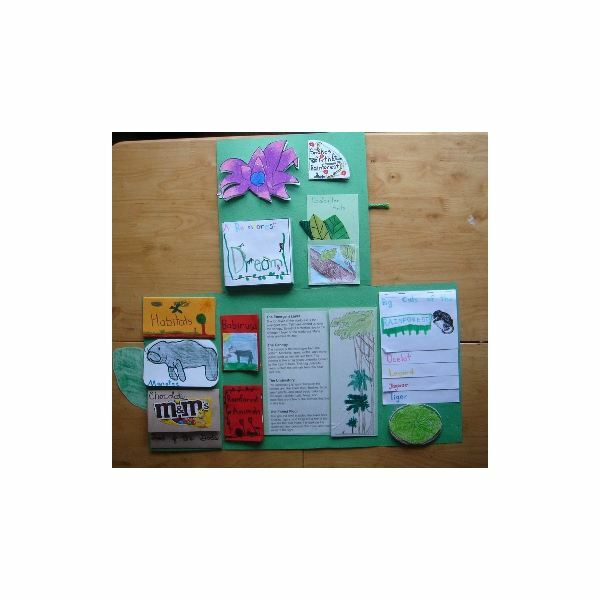 It is a treat for the child to sit down with family members and friends to show off this work, and the retention of the material learned is enough to convince any reluctant educator that the project of a lapbook was time well spent. Future projects will unfold more easily, and the children will quickly have a sense of how this works, thereby coming up with plenty of self-directed ideas. If you find yourself getting a little stagnant in your work, suggest a lapbook and watch the little eyes of your students light up with excitement!